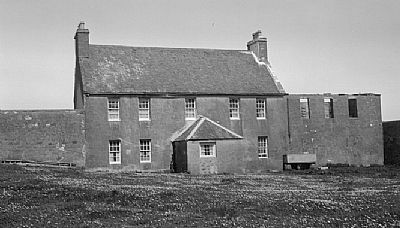 John Martin, of Marishadder (Skye) and his wife, Mary Nicolson, had nine sons and three daughters [The Clan Donald, Vol 3]. Six of the nine sons went to the West Indies, at least four of them as doctors in Demerara. 1. Martin Martin died on 16 March 1874 at Tote, Snizort, Isle of Skye, the age of 92 (Inverness Courier - Thursday 26 March 1874). Monkstadt House, near Portree, Skye. 5. Alexander [c1796-1841], ‘sometime of Demerara, West Indies, and latterly Tacksman of Inversanda’ - parish of Kilmallie [marriage of daughter Marjory, Inverness Courier - Thursday 07 April 1870]. A Court of Session case in 1842 refers to him as Dr Martin but there is no other evidence of a medical qualification. 8. Lachlan Martin, who died as a young man in a snowstorm. For an account of his death see this link. 9. Rev Angus Martin [c1807- ], who became minister of Snizort, Skye.